I always admire the kids in the skate parks. They are so flexible and fast when doing their acrobatic figures. It’s a sub-culture with unique clothing and music, designed to bring new athletic levels and hype to spectators and the social media channels. When I am on the cross-trainer in the fitness center, on the TV-screens, they often show skating or mountain-bike competitions. 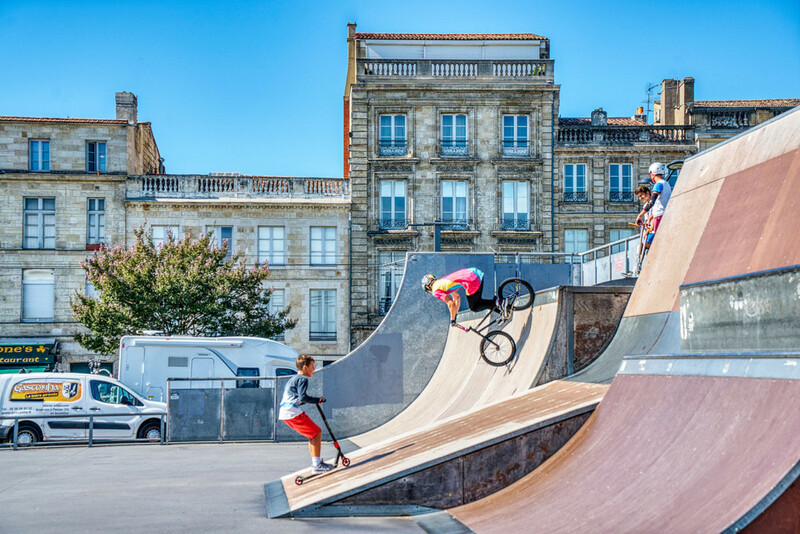 As I drove on an E-Bike in Bordeaux, I stopped immediately and shot some photos of the young guys.